April 20th, 2010 by Roy W. Spencer, Ph. 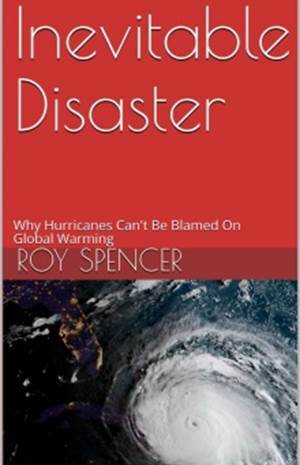 D.
Today (April 20) is the official release date of my new book entitled: “The Great Global Warming Blunder: How Mother Nature Fooled the World’s Top Climate Scientists“, published by Encounter Books. 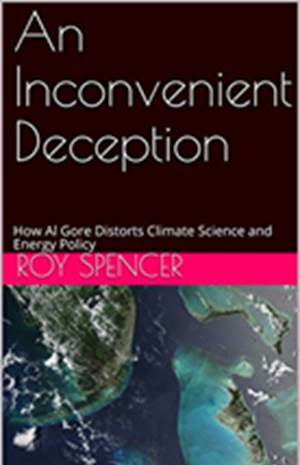 About one-half of Blunder is a non-technical description of our new peer reviewed and soon-to-be-published research which supports the opinion that a majority of Americans already hold: that warming in recent decades is mostly due to a natural cycle in the climate system — not to an increase in atmospheric carbon dioxide from fossil fuel burning. Believe it or not, this potential natural explanation for recent warming has never been seriously researched by climate scientists. The main reason they have ignored this possibility is that they cannot think of what might have caused it. You see, climate researchers are rather myopic. They think that the only way for global-average temperatures to change is for the climate system to be forced ‘externally’…by a change in the output of the sun, or by a large volcanic eruption. These are events which occur external to the normal, internal operation of the climate system. But what they have ignored is the potential for the climate system to cause its own climate change. Climate change is simply what the system does, owing to its complex, dynamic, chaotic internal behavior. As I travel around the country, I find that the public instinctively understands the possibility that there are natural climate cycles. Unfortunately, it is the climate “experts” who have difficulty grasping the concept. This is why I am taking my case to the public in this book. The climate research community long ago took the wrong fork in the road, and I am afraid that it might be too late for them to turn back. How could the experts have missed such a simple explanation? Because they have convinced themselves that only a temperature change can cause a cloud cover change, and not the other way around. The issue is one of causation. They have not accounted for cloud changes causing temperature changes. The experts have simply mixed up cause and effect when observing how clouds and temperature vary. The book reveals a simple way to determine the direction of causation from satellite observations of global average temperature and cloud variations. And that new tool should fundamentally change how we view the climate system. Blunder also addresses a second major mistake that results from ignoring the effect of natural cloud variations on temperature: it results in the illusion that the climate system is very sensitive. The experts claim that, since our climate system is very sensitive, then our carbon dioxide emissions are all that is needed to explain global warming. There is no need to look for alternative explanations. But I show that the experts have merely reasoned themselves in a circle on this subject. When properly interpreted, our satellite observations actually reveal that the system is quite IN-sensitive. And an insensitive climate system means that nature does not really care whether you travel by jet, or how many hamburgers or steaks you eat. CARBON DIOXIDE: FRIEND OR FOE? The supposed explanation that global warming is due to increasing atmospheric carbon dioxide from our burning of fossil fuels turns out to be based upon little more than circumstantial evidence. It is partly a symptom of our rather primitive understanding of how the climate system works. And I predict that the proposed cure for global warming – reducing greenhouse gas emissions – will someday seem as outdated as using leeches to cure human illnesses. You see, the legislative train left the station many years ago, and no amount of new science will slow it down as it accelerates toward its final destination: forcibly reducing greenhouse gas emissions. But in Blunder I address what other scientists should have the courage to admit: that maybe putting more CO2 in the atmosphere is a good thing. Given that it is necessary for life on Earth, the amount of CO2 in the atmosphere is surprisingly small. We already know that nature is gobbling up 50% of what humanity produces, no matter how fast we produce it. So, it is only logical to address the possibility that nature — that life on Earth — has actually been starved for carbon dioxide. This should give you some idea of the major themes of my new book. 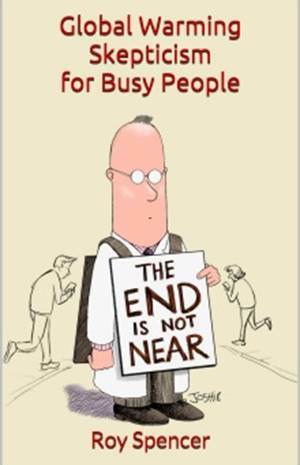 I am under no illusion that the book will settle the scientific debate over global warming. To the contrary — I am hoping the debate will finally begin.